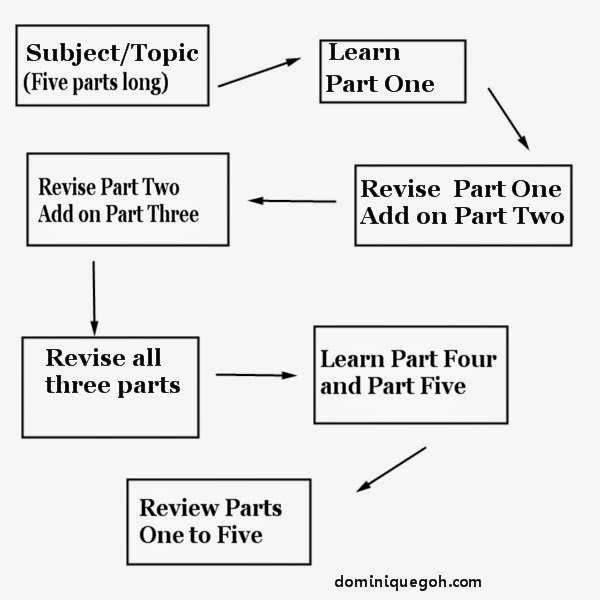 In Part 1 of this post I outlined the difficulties that Doggie boy had in learning. Focusing on using his Auditory learning skills wasn’t really working well so I needed to change my tact with him. As Doggie boy isn’t able to absorb a lot of information at one sitting I have to break it down into parts for him. A longer time frame is needed for the same amount of information to be taught. Here is how I go about teaching him a complex subject/topic by breaking it up into a different parts ( depending on the length and complexity of the topic involved). Last week I went through the times table with Doggie boy. He has to learn his 2-6 times table as they are doing times table this term. He needs to be able to memorise the times table so that he will be able to calculate and solve the mathematical questions which will be given to him in the upcoming test. We started off with learning the 2 times table on Monday morning. On Monday night we moved on and learned the 3 times table and revised the 2 times table. On Tuesday morning I revised the 3 times table with him and we learned the 4 times table. On Wednesday we revised his 2 to 4 times table. On Thursday we did the 5 and 6 times tables together while on Friday we revised all the times table that we have learned that week from 2 to 6. Constant revision and learning in chunks seems to be working better for him as he can recall the information that was thought to him longer. He is also more able to apply what he has learned in different “test” situations. 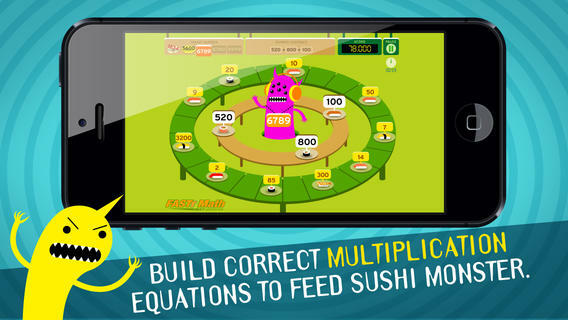 To let Doggie boy have fun learning his times table I installed some Multiplication Apps on my iPad like Maths Evolve, Sushi Monster for him to try out. Playing these games help him practice his multiplication tables and make him count faster while having fun. It makes learning less intimidating for him . Doggie boy was not able to get every question correct on the first few tries however his speed and accuracy in solving multiplication questions has certainly improved since using this new method of learning.He is less frustrated and now even looks forward to study time with me when he comes back from school. Using this new method of teaching him has certainly improved his confidence level in learning new things and his marks in school has improved as a result. In the next post in this series I will be opening up to you the challenges that I currently face with my youngest – Tiger girl. I’m impressed by your methods, I must say! This must really help him to learn I think. I think I love that game but its for ipad only. I am always looking for math games at android because I want my son to play and practice his math skills at the same time. I agree that there are very limited good quality games/ educational games for Android that’s why we got an iPad for the kids to share. There are more on the PC itself though..that’s an option you can consider. wow i admire your systematic way of teaching your son! Those are great tips. I will be homeschooling next year, so I definitely enjoy reading posts with tips on teaching! My kids have Kindle Fires, and there are several math games that they love to play that make it less like work and more fun. Mathblaster, Monkey Math Jetpack Adventure, and The Arithmemouse are several. Thank you for sharing in details. I will go use it on Isaac and see if it works wonders for him…. But, the math games looks really interesting. Great blog post. That five part thing looks so effective. I will have to try that with my daughter. She’s so slow with reading. I have to deal with this as early as possible so that she can study well with her subjects. Not every child learns the same, and unfortunately, many lesson plans are quite one-dimensional. I appreciate seeing so many layers to learning in this post. Excellent. Modern technology does have its benefits, ha! I remember I learned a lot of spelling and simple math on the old versions of “computer” games, such as Speak & Spell (You’re probably too young to remember that, ha) and it really did my siblings and I a world of good! So wonderful that you have found a way to teach him without so much stress. 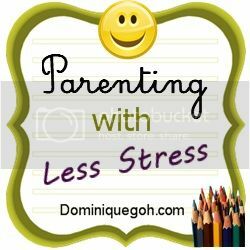 Kids learn easier when there isn’t a lot of stress involved. It’s great that you are so involved.